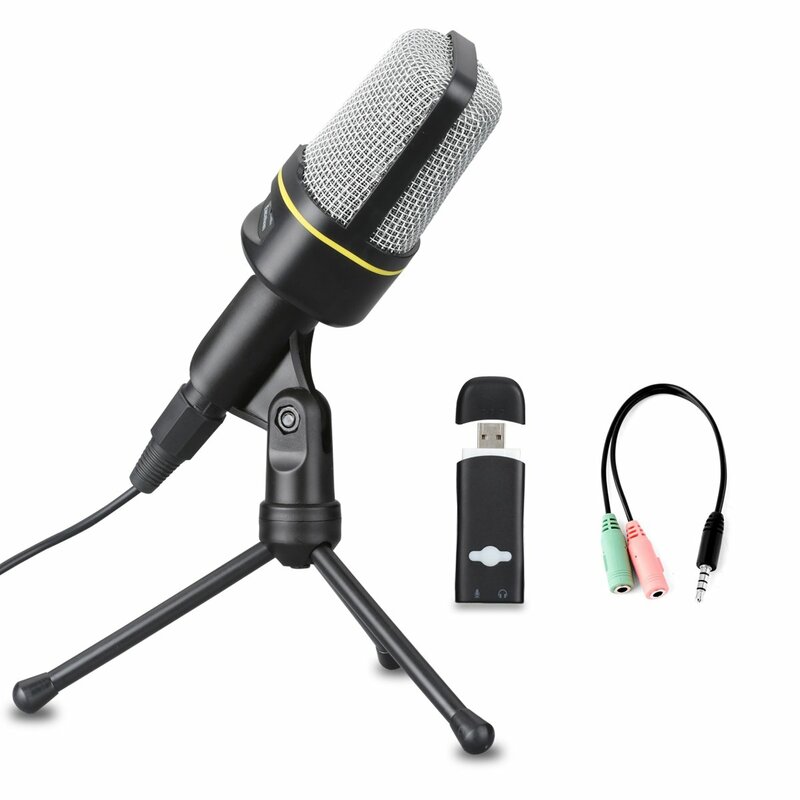 Plug and Play: With standard 3.5mm interface, it suits for any available USB port, don’t need 48V powered to support the mic to work, USB adapter and Y splitter are included. 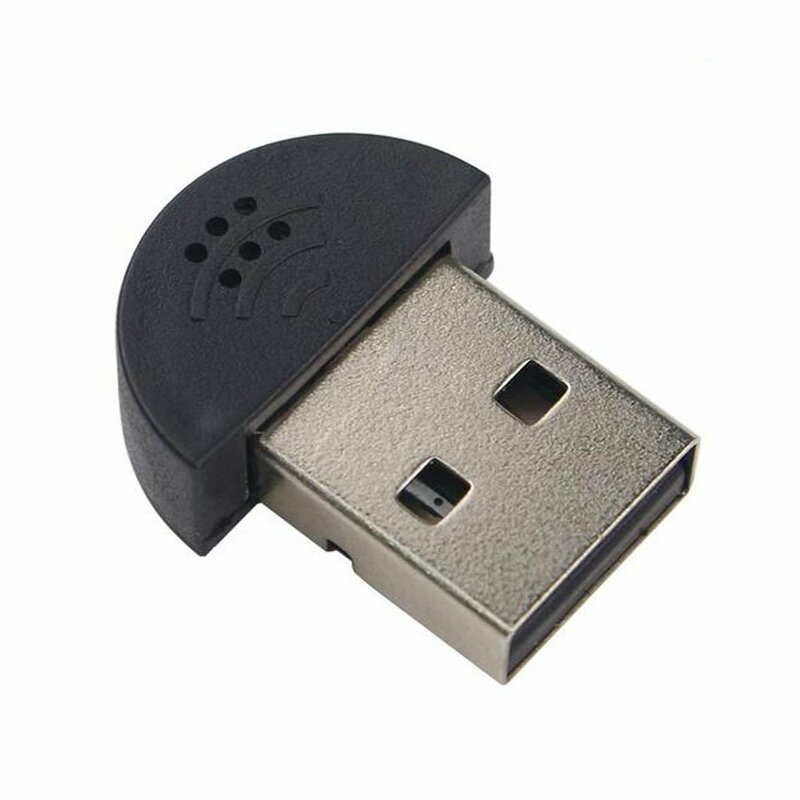 Compatible with most devices with 3.5mm aux-in plug such as mobile phones, Tablets, PC and laptop ect. 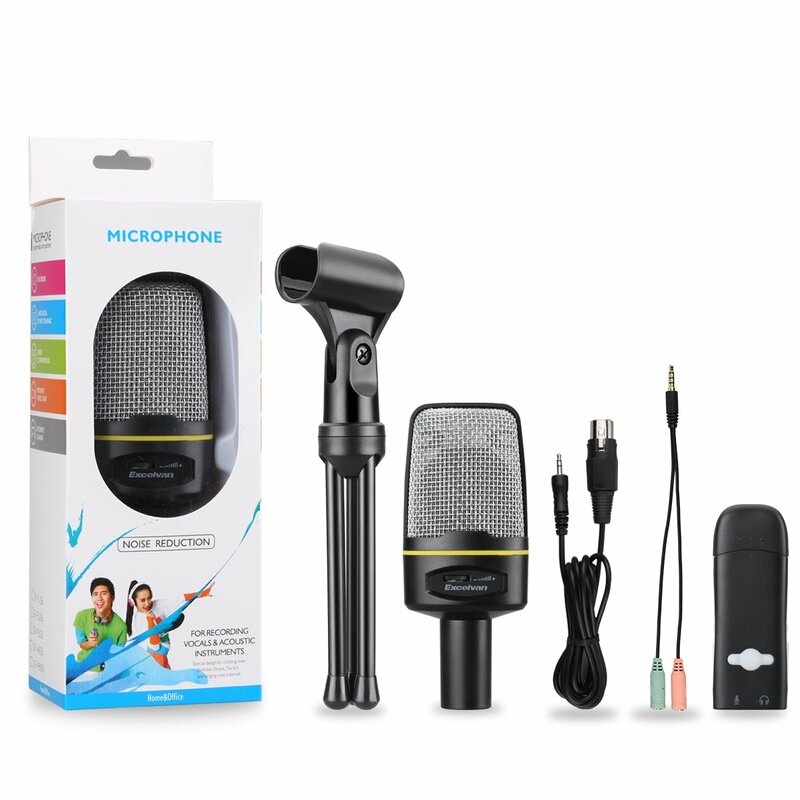 Lessen Noise and Isolates: Captures sound equally from all directions, better at resisting wind noise and mechanical or handling noise, effectively softens explosive ‘p’ and ‘b’ ‘t’ consonants. 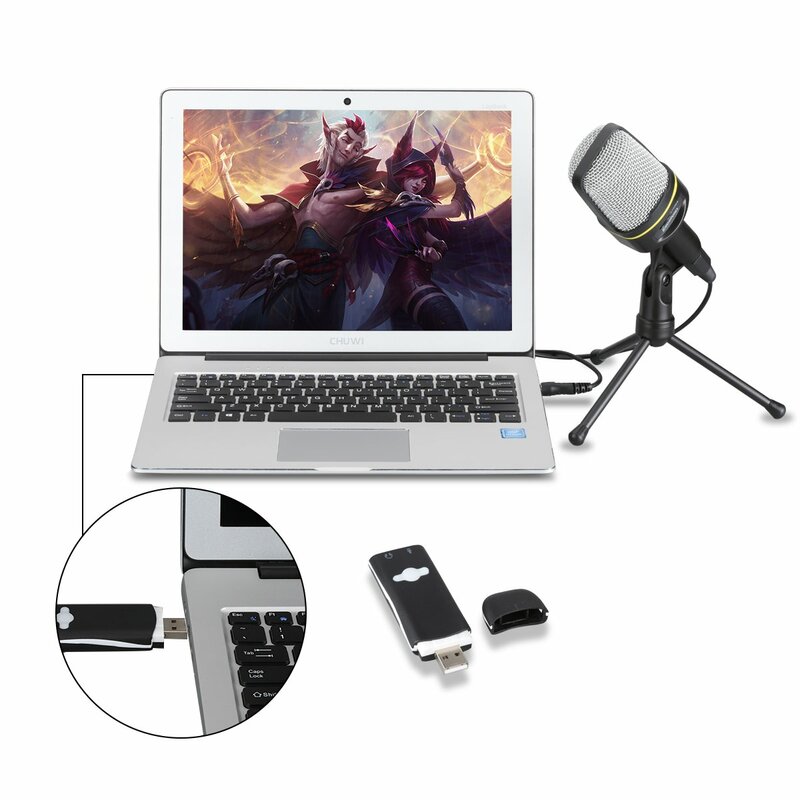 Offers crystal clear audio for podcasting, home studio recording, field recording, gaming, speech, vocal, conference calls, interview and ect. 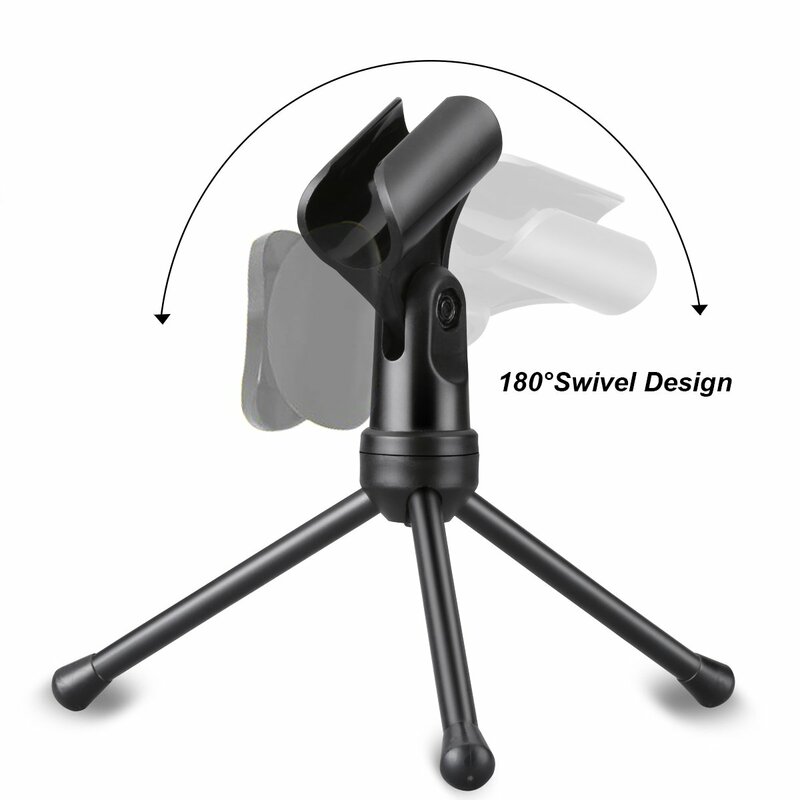 Folding Tripod Stand: Solidly constructed metal appearance with 180°swivel adjustable tripod stand, it can fulfill various recording demands. Easy Convenience: With simple ON/OFF switch to adjust the audio input volume, skip the volume set up steps on your computer, and end audio recordings with the touch of a button. Various Application: Broadcasting, home video voiceover, gaming, instant message, such as skype, youtube, twitch etc. 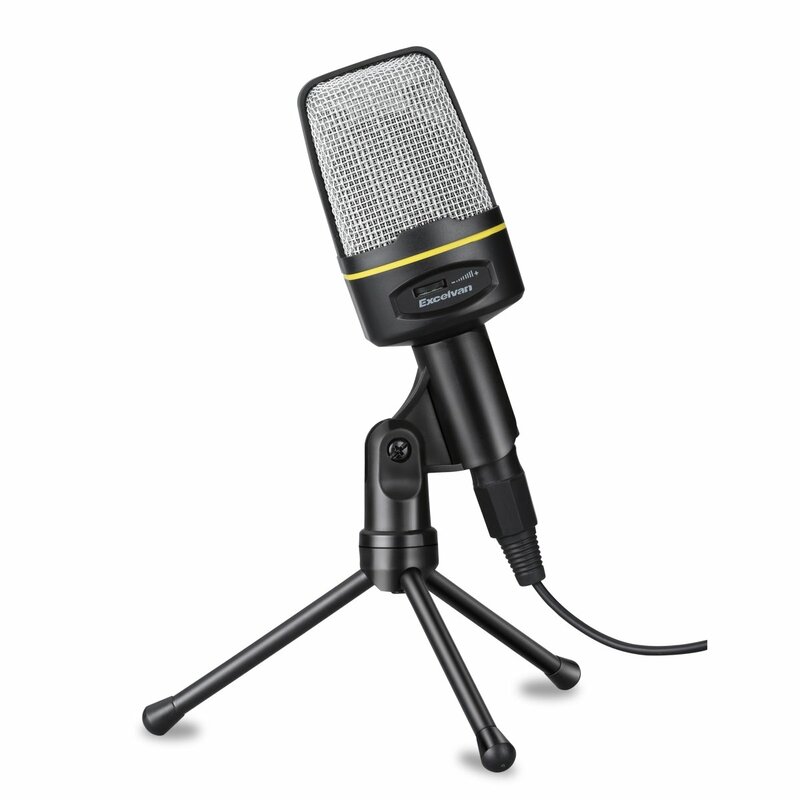 Music vocals, conference recording or instruments recordings, etc. 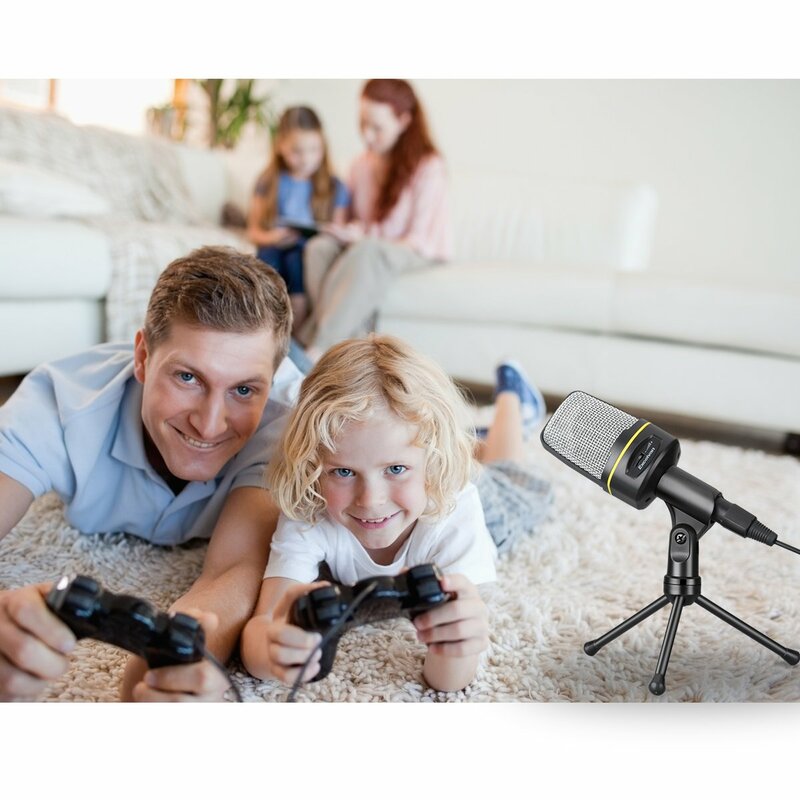 This condenser microphone with fashionable appearance designed, comes with Foldable desktop mic stand, you can adjust the mic angle and height freely. It has a . mm headphone jack. Plus, it features an easy plug and play design, allowing you to use it on a Mac or PC without having to install any drivers. 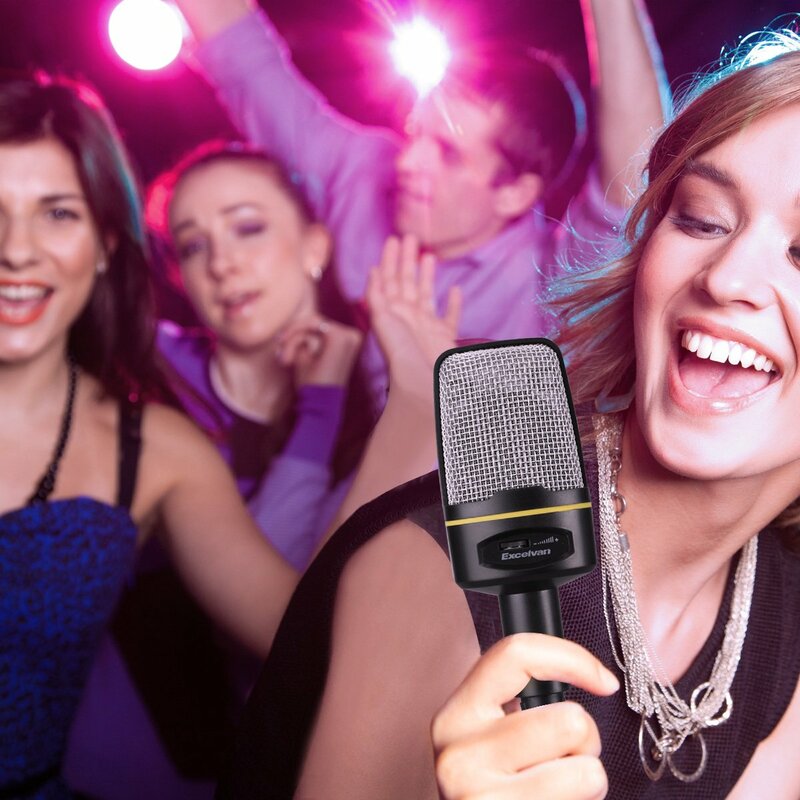 1, Connection: Plug the .mm microphone cable into the microphone jack on your computer, smartphone, or stereo systems. 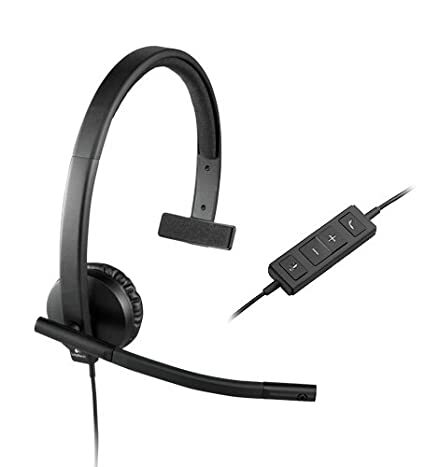 For devices like laptops that only have one .mm port, the included .mm and USB headphone/mic adapter can be used to connect the microphone and your speakers through a single input. 2, Setting: When use with Windows computer to record, please follow the settings below: Control Panel → Sounds → Recording Devices → Listen to this device. Compatible System: Android, IOS, Win 7, Win 8, Win 10, Win XP, Vista, MAC OSX,etc. 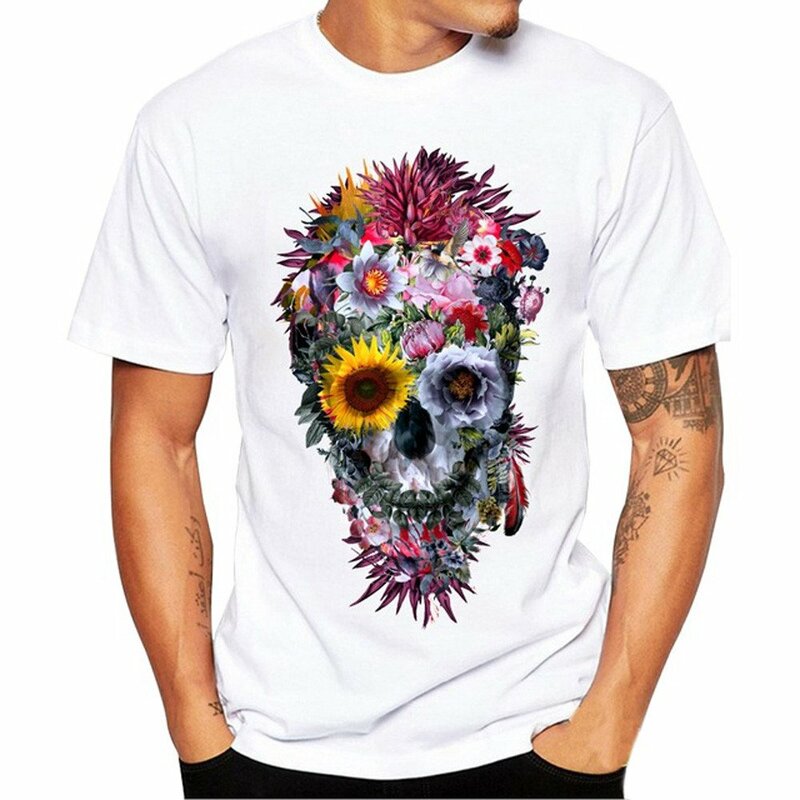 Very poor quality, not made very well. Microphone stand is not very sturdy and slides around due to cheap construction. 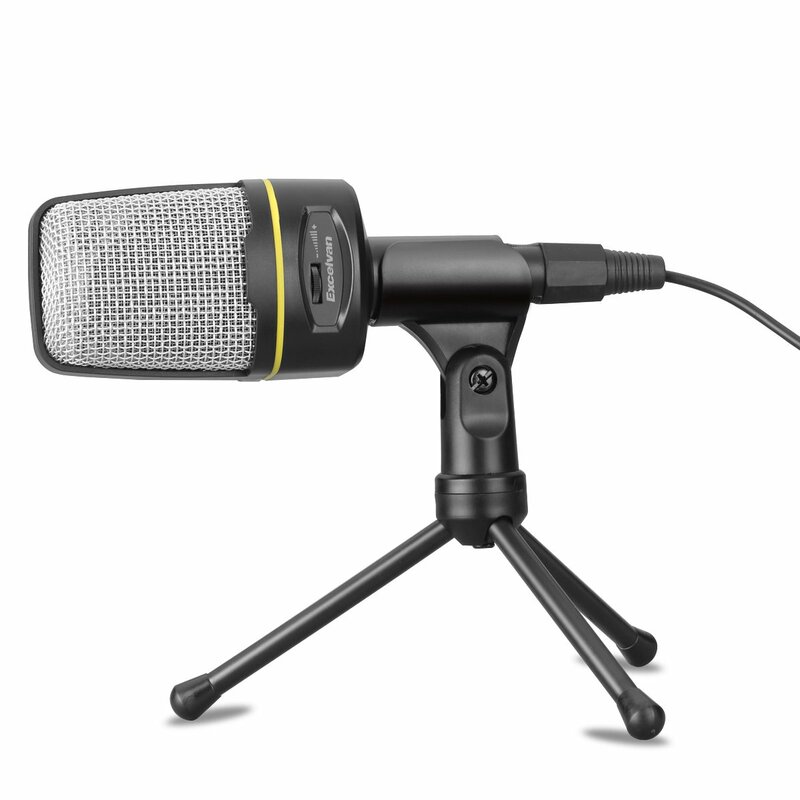 The microphone cuts in and out during recording and sometimes cannot be found by the computer. I WOULD NOT recommend this product. 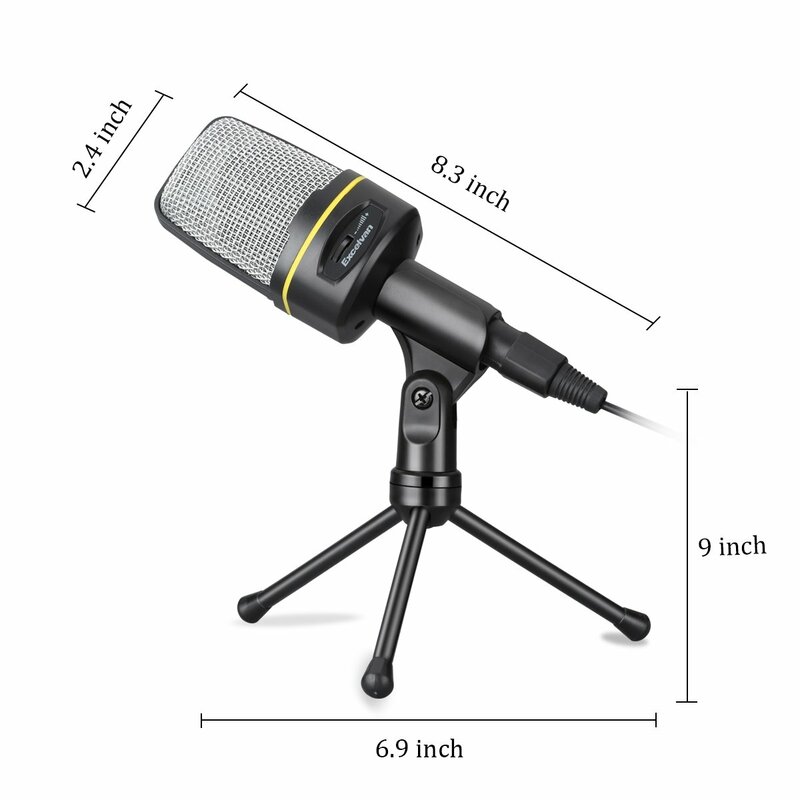 I purchased the Excelvan Condenser Microphone Black SF-920 3.5mm Desktop Microphone with Volume Control and Tripod to use to record our small church services on my iPad. The set up is super easy, just plug and use. And the sound quality is amazing! There is no background hissing or crackling. It was just what we were looking for to start recording our services on a tiny budget. Did not work. Didn’t not work on the iPhone with the adapter. Did not work on my laptop either. Returning it. Came broken. I opened up the package to the tripod in pieces. Couldn't use them on my laptop due to the very long delay in the signal to the headphones.